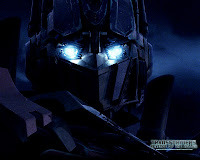 Anyone else eagerly awaiting the release of the second Transformers movie? I used to watch that cartoon every day as a kid. That and having Megan Fox in the movie is a huge plus as well. Does anyone know if that twitter account is really hers? Cause I've been reading it religiously. But I digress. What's better than Megan Fox .... I mean Transformers ... on the big screen? Well that would be Megan Fox (and Transformers) on IMAX. In conjunction with the release of “Transformers: Revenge of the Fallen,’’ an Imax theater is being installed in the AMC cinema at Liberty Tree Mall in Danvers. The theater in Danvers, which will open Wednesday, will feature a 56-foot-by-29-foot screen, a digital projection screen, and a new sound system, said Imax spokesman Jackson Meyers. I hope they play Transformers at the NE Aquarium IMAX, that's the closest one to me. They had Batman there for a while, but I never got around to watching it there. 2 Response to "IMAX Coming to Danvers"
It should be noted that this isn't a full sized IMAX like you find at Jordans in Reading. After reading the comments on that article, its more like a mini-IMAX, as the screen will only be 56 feet by 29 feet while the Jordan’s IMAX Screen is 76 feet by 55 feet. The article also says it will charge $14 to see a movie, while Jordan's is $11.50... I dont think it will be worth it. I wonder if they even re-did all the seating to make it more stadium or left as is?